The global cannabis landscape is forecast to see sweeping changes over the next several years. In 2013, Uruguay became the first country in the world to legalize recreational cannabis. On October 17, 2018, Canada will become the second country (first G7 nation) to officially legalize recreational cannabis. In the United States, eight states and Washington D.C. have legal recreational cannabis markets, despite the fact that the U.S. federal government still considers marijuana a Schedule 1 drug. However, there are definitely signs that the U.S. government is increasingly warming up to cannabis as a way to help combat the massive opioid epidemic. As the years pass, it seems the global stigma on cannabis continues to soften as we continue to learn more about cannabis’ numerous benefits. Experts see this phenomenon only continuing to build momentum, with additional countries likely to legalize recreational markets in the coming years. Overall, Canada, US, Spain, Germany, Uruguay, Australia, Columbia, Chile, and Israel are among the top countries that are driving the global cannabis legalization movement. According to Grand View Research, the global legal recreational cannabis market is estimated to be worth $146.4 billion by 2025. This represents a compound annual growth rate (CAGR) of 34.60% between 2018 and 2025. Various sub-segments of the overall cannabis market will continue to see strong growth and demand as consumer adoption and accessibility builds. The cannabis edible market is one such key market because it serves as a primary alternative for consumers who do not like to smoke or vape. According to Technavio, the global cannabis-infused edible products market is forecast to see CAGR of 25% between 2018 and 2022. The market research firm notes that The Americas accounted for 74% of global market share for cannabis edible market in 2017. By 2022, the market research team sees the region continuing to hold a commanding 73% share of the global edible market. This shows that over a majority of the edible market gains will be in North and South America. 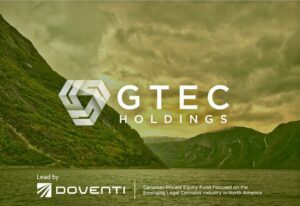 One cannabis company that is positioning to be a major player in the edible and marijuana-infused product market is GTEC Holdings Ltd. (TSXV: GTEC) (OTC Pink: GGTTF). GTEC Holdings Ltd. (TSXV: GTEC) (OTC Pink: GGTTF) operates a Canada-based, vertically-integrated cannabis company. The company is focused on developing premium, craft-quality cannabis products through its six wholly-owned subsidiaries: Alberta Craft Cannabis, GreenTec Bio-Pharmaceuticals, Falcon Ridge Farms, Grey Bruce Farms, Tumbleweed Farms, Zen Labs, and Spectre Labs. Over the past couple of weeks, management has released a couple press releases showing that GTEC is actively preparing to come out swinging in Canada’s “phase two” of recreational cannabis legalization, which will include edibles, drinks, and other concentrates. With GTEC’s operations and procedures all set for the momentous October 17, 2018 “phase one” legalization date, the talented management team is already looking ahead and getting the stage set for the massive edible and infused product market. The “phase two” of legalization is expected to go into effect in 2019. On August 15, 2018, GTEC announced that it has named Lawrence Law as the company’s Global Marketing & Branding Director. Mr. Law comes to GTEC after a very successful 10-year career with the world’s largest alcoholic beverages company, Diageo Plc (NYSE: DEO). Specifically, Mr. Law served as the Global Brand Director for the highly-coveted Johnnie Walker’s Blue Label brand and the Super Premium Portfolio. 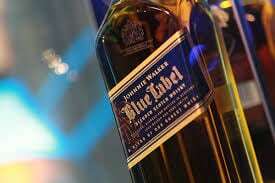 Law was also tasked with product innovations and marketing for the Johnnie Walker’s Luxury Retail Experiences, Digital Product Personalization and the Casks of Distinction Single Malts Program. In short, Mr. Law has extensive knowledge across the luxury, banking, technology, automotive, and other sectors. This is key to GTEC’s vision to continue expanding and building its brand as a premium, high-quality, craft cannabis brand. On August 16, 2018, GTEC provided a major update on its sixth wholly-owned subsidiary, Spectre Labs. The subsidiary serves as GTEC’s extraction, formulation, and manufacturing arm, which is currently undergoing a Health Canada review for a Controlled Drugs and Substances Dealer’s License. The application was accepted for review on July 17, 2018 and normally takes around 180 days to hear an issuance decision from Health Canada. Spectre Labs will operate out of Kelowna, British Columbia, where GTEC has acquired a warehouse, which will be converted into a state-of-the-art extraction facility that will produce Good Manufacturing Practices (GMP)-grade products. In coordination with Health Canada regulations, Spectre Labs will conduct the facility renovations in phases. Management notes that once phase one of facility is completed, it will be capable of producing up to 24,500 grams of cannabis oil per day (or around 8,500 kg per year). Management has already stated that the later phases of development will enable the facility to be a key component in GTEC’s edible manufacturing plans. Overall, GTEC continues to be an undervalued gem in an otherwise overvalued Canadian cannabis landscape. Investors need to remember to be selective even with a major opportunity like recreational cannabis legalization. While the event is momentous enough that the “rising tide will likely lift all boats,” the market will eventually expose the “wheat and the chaff” of the cannabis movement. GTEC’s under-the-radar moves will have a major impact over the next year and into the future. With Canadian recreational legalization in full-swing, GTEC will likely emerge as one of the strongholds in the premium, craft cannabis market. The post One Cannabis Stock That Is Already Making Moves To Be A Big Player In Upcoming Canadian Edibles and Drink Market Legalization In 2019 appeared first on Spotlight Growth.